We are looking for new associates in the USA and Canada! with Over 9 Million Members! Carolyn Lee here and I want to say Hello and Welcome and I want to let you know there is a real person here to help you find the way to Financial Freedom. Whether you want to earn $12k or $50k or $140k or more yearly, we can teach you how. We will provide you with important information regarding how to create a lucrative income and will help you with your decision to get started in our rapidly growing company. By following the directions on this site you will learn how to get started working with us today. ATTENTION: Web Based Full or Part Time... HOME AGENTS NEEDED! we are recruiting agents in the USA & Canada. and will help you with your decision to get started in our rapidly growing company. By following the directions on this site you will be able to start working with us today. No experience necessary, our training will teach you everything you need and you can be online, working and making money in the next two hours. This position offers a high payout and you will be paid WEEKLY via direct deposit or check. You can easily earn $80 - $320 or more from each hour of work. To get commission info, scroll down past product information. Take advantage of my opportunity and my ability to help you. I work online full-time and whether you want to work at home full-time or you are just looking for a little extra money, I can help you. This program can create a very lucrative income and you will be paid weekly via direct deposit or check. 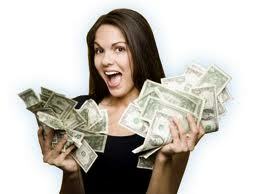 You can easily earn $80 - $160 or more from each hour of work. We Offer the highest pay rates in the industry! With Motor Club of America (MCA/TVC), Earn $80 on Every $19.95 Sale, Plus I Have A Special Offer and Free Advertising for 2 months, if you join within 48 hours. You will need to pay $39.90 (via Credit Card or with Checking Account) which pays for 2 Months in advance - then your $19.95 Monthly Subscription Starts..
Click here for details about products and commissions. http://www.carolynlee.net/TVCMatrix.htm - or check your emails from me. Write down my phone # 757 497 4253 - then you can call me if you need help and/or more information. Click here for more information about products, etc. Click here for Commissions & Marketing Plan You will need to scroll about 3/4th way down the page. MCA Total Security Motor Club! 100 mile Towing! Legal Benefits! $50,000 AD&D with Hospital Indemnity and ER Benefit! b) Click on Get Started This will take you to the shopping cart. It will say $39.90. DO NOT CLICK "TO BECOME AN ASSOCIATE"
You will become an associate after your first sale! that you want to use. Click Register. name in the top box. If the information is correct, click yes. verify account information page, fill out the information page and click next. verification code on the back of your card. g) Click Place Order and you are done. To receive the free advertising, you need to join at the $19.95 monthly level of the Motor Club of America. If you are like me, you may have questions. Feel free to call me any time at 7574974253. If I do not answer, please, leave me a message and a phone number where I can return your call - please, let me know best time to call you.